GNV Consulting Services (GNV Consulting) is widely recognized as one of the leading tax, customs and business consulting firms in Indonesia, independent of any accounting firm, free from conflict and independence issues in providing non-attest services. GNV Consulting established in 2010 by the experienced professionals who previously held Partner and Director position in the Big Four consulting firms. 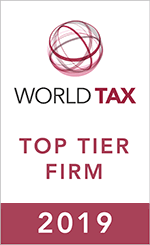 In 2018, GNV Consulting has been awarded by International Tax Review as Indonesia Tax Disputes & Litigation Firm of the Year.